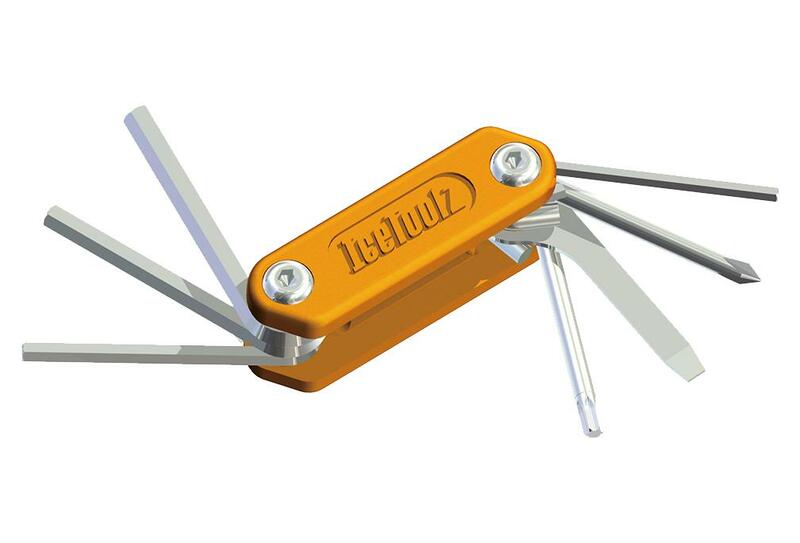 7 Functions Multi tool stainless steel with 3,4,5,6mm Allen keys, flat and Phillips screwdriver and T25 torx key. Robust, corrosion resistant, it is the best tool for outdoor use. Weight 115g.